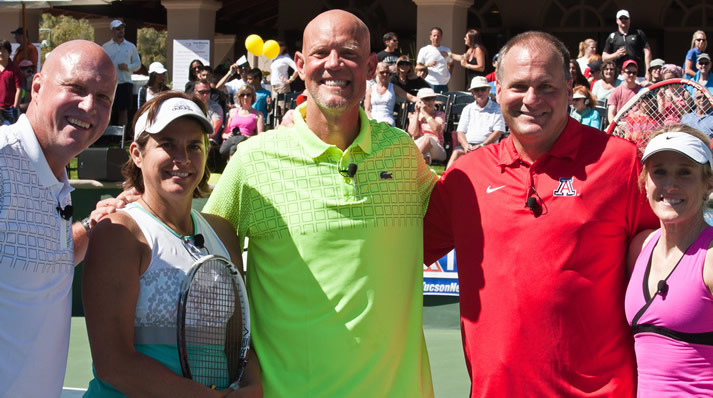 The Steven M. Gootter Foundation is grateful to the tennis champions who have participated in The Gootter Grand Slam. Twin brothers Robert Charles Bryan (Bob) and Michael Carl Bryan (Mike) are American professional tennis double players who are the best tennis team in history. The twins have won multiple Olympic medals, including the Gold in 2012 and have won more games, matches, tournaments and grand slams than anyone in history. They have been the World No. 1 doubles players longer than anyone else in doubles history. 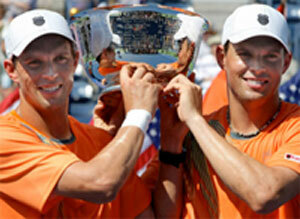 They have also finished the ATP year-end number 1 doubles team a record 8 times. After winning the 1993 French Open with his brother Luke, the Jensen brothers became the most popular doubles team in the history of the game. 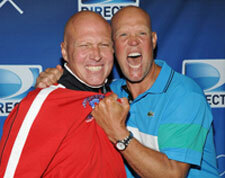 Murphy Jensen has most recently been the host of two Tennis Channel favorites, “Open Access” and “Murphy’s Guide”. Murphy dedicates much time and effort participating in charity tennis tournaments and special events around the country. 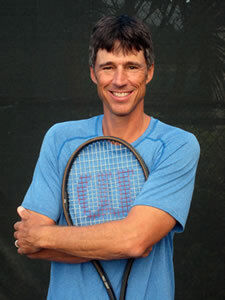 Luke was the head women’s tennis coach at Syracuse University and he is currently Director of Tennis at Sea Island. 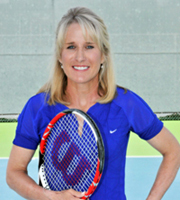 Tracy Austin won the women’s singles championships at the U.S. Open in 1979 and 1981. 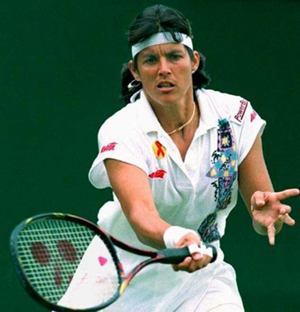 In 1980 Tracy teamed with her brother, John, to win the mixed doubles title at Wimbledon. The Austins were the first brother-sister team to win the mixed doubles at Wimbledon. Gigi captured 68 career titles in women’s doubles and attained the No. 1 ranking several times in 1991, 1993, 1994 and 1995. She earned Olympic gold medals at both the 1992 and 1996 games. She won at least one Grand Slam title every year from 1988 – 1997, except 1989, and for three straight years won three of the four Grand Slam doubles titles in the same year (1992-1994). Swedish tennis star Mats Wilander, a former number 1 ranked player from Sweden, has played in the Gootter Grand Slam for numerous years. From 1982 through 1988, Mats won seven Grand Slam singles titles (three at the French Open, three at the Australian Open and one at the U.S. Open) and one Grand Slam men’s doubles title (at Wimbledon). He completed 1988 ranked number 1 in the world. Mats was inducted into the International Tennis Hall of Fame in 2002 and played on Sweden’s Davis Cup Championship Team in 1984, 1985 and 1987. Best remembered for reaching the men’s single final at the French Open in 1986 where he gained his highest ranking of #10 in the world. Mikael also has 3 career singles title and one doubles title to his name. 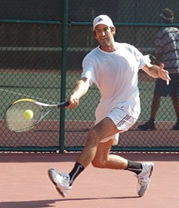 Before turning professional, Pernfors played for the University of Georgia where he won back to back NCAA singles titles in 1984 and 1985. Mikael also played on Sweden’s Davis Cup Team. Aaron Krickstein, formerly ranked number 6 in the world, holds two records that still stand: the youngest player to win an ATP Tour event at age 16, and the youngest in the world top 10 at age 17. He earned the nickname Marathon Man for his five set record of 28 wins (winning 11 times from 2 sets down), and 9 losses. He played Davis Cup for 6 years and currently participates on the Men’s Senior Tour (Champions Series Tennis). 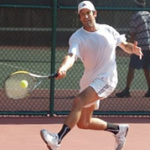 Aaron is the Director of Tennis at St. Andrews Country Club in Boca Raton, Florida. Jimmy Arias – Jimmy Arias, formerly ranked number 5 in the world in 1984, is also a bronze medal winner. Jimmy won the French Open Mixed Doubles championship with Andrea Jaeger in 1982. Today he serves as a commentator for ESPN International and the Tennis Channel. Jim Grabb is a former American professional tennis player. He was ranked the World No. 1 doubles player in 1989 and in 1993. Grabb’s best singles ranking was World No. 24, a ranking he achieved in February 1990. 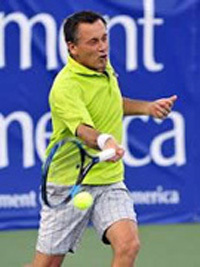 Derrick Rostagno won one top-level singles title (at New Haven in 1990) and one tour doubles title (at Tampa in 1993). His best performance at a Grand Slam event came at the 1988 US Open, where he reached the quarterfinals before being defeated by Ivan Lendl.